Do you have a German Shepherd Lab Mix? 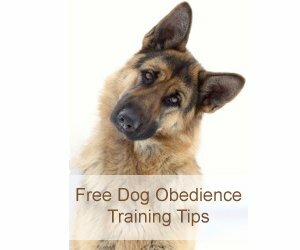 Your dog should be easy to train with a strong propensity to work. This German Shepherd mix will likely shed moderately. Recognized by the AKC in 1917, the Labrador Retriever is a very versatile dog. 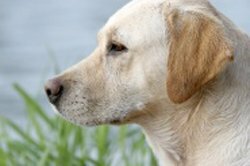 A member of the Sporting Group, labs make excellent hunting, service and companion dogs. Hunters rely on them to retrieve game, but they also make excellent therapy dogs and are commonly used in search and rescue operations and narcotics detection. One of the easiest dogs to train, the lab is known for being loving, affectionate and patient. A popular family dog, they are good natured and love other dogs as well as children. Labs love to work and need a lot of exercise. Regular activity is important for this breed as they are prone to weight issues if not exercised regularly. Normally black, chocolate or yellow, Labs are easy to groom, with a short, waterproof coat which sheds seasonally. They stand around 22 inches at the shoulder and weigh between 55 and 75 pounds. In addition to obesity, Labrador Retrievers can be prone to allergies, arthritis, epilepsy, hip and elbow dysplasia, hypothyroidism, and retinal folds and progressive retinal atrophy. Like the German Shepherd, the Lab is very versatile and excels at many different activities. This dog could make an excellent seeing eye dog, search and rescue dog or police K9 in narcotics detection. A Lab German Shepherd will have a manageable coat. Both breeds are double coated, but a Labrador's hair is much shorter than a shepherd's. 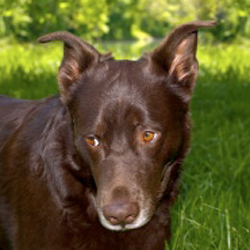 A Lab Shepherd mix dog will likely show a high degree of dog intelligence. A German Shepherd is ranked third, while a Lab is in the number 7 spot. This German Shepherd mix will likely be easier to train than a purebred GSD. And a bit less challenging. When I first saw Marley & Me: Life and Love with the World's Worst Dog , I assumed the star was a German Shepherd yellow lab mix, due to his stubbornness. Former US President Bill Clinton's white house companion was a Labrador named Buddy.